ImgurIt has nearly been 20 years since we last saw Mike Myers don those famous specs and rotten teeth but speculation over a long-gestated sequel has begun to re-emerge. The rumour chatter has been bolstered by recent remarks made by Myers himself, who spoke about what he might envision for a possible 4th outing. "I would love to do a movie from Dr. Evil's perspective. So it would be Dr. 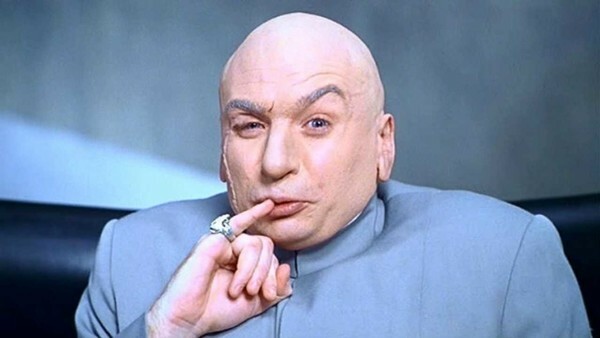 Evil 1, Austin Powers 4, is how I would roll. Start the campaign, please. Thank you." Whilst the need for another Austin Powers movie may not seem particularly prevalent right now, Myers' concept could certainly make for a fresh break for the Jay Roach helmed series. The success of a little film called Avengers: Infinity War certainly bodes well for the notion of bad guy as protagonist as that film too saw its villain take centre stage in utterly compelling fashion. Whilst still firmly in rumour territory, this one may be worth keeping an eye on. An experienced film and television writer with a Masters in film theory and an addiction to all things media.